My walk to and from work involves one VERY large uphill. This means that heels tend to be a no-go when it comes to wearing to work. I’ve taken to keeping a pair in the office to change into, but in general heels are only something I throw on once in a while. When I got out shopping, I usually have my eye on flats that will stand out as much as any cute pair of heels. Lately, I have been having the best luck in finding crazy amazing standout flats like these incredibly adorable taxi flats. Seriously, I want to wear them like everyday. 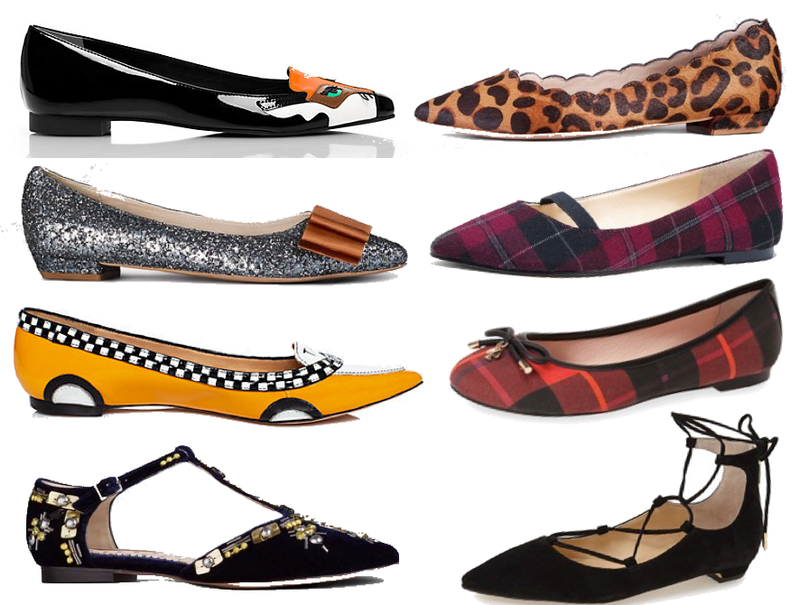 Check out some of the other fancy flats that I have been drooling over lately. I love wearing flats to work and I'm with you, I'm always trying to find cute ones. I love the Kate Spade Ericka flats! I'm definitely a heels girl but these are super cute for when I "must" wear flats. These are so cute! I love wearing flats, so comfortable. OMG, those leopard ones. yes please! Those Taxi flats are SO CUTE. But more realistically, I think I'd go for one of the two with the tartan pattern – love them! Oh my gosh I love flats! Your choices are all so cute and perfect for expressing personality! Thank you for sharing! Loving the plaid and leopard pairs. Love the cheetah print flats! Flats are so nice because they look professional but are so comfy! Great post!